This is a Rover Vikings head style mascot possibly similar to the Rover P2 or P3 models. 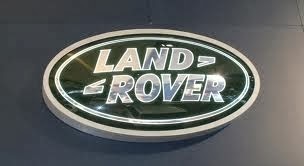 Ideal for a paperweight or could be displayed on other Rover cars or Land Rovers. Stands 4 inches high. It has a mounting hole in the bottom of it. Nice item. Will post worldwide.